Discount grocers battling for a piece of the nearly $632 billion U.S. grocery market are seeing more and more competitors jump into the fray. All across the grocery sector, companies continue to roll out stores. According to IBISWorld, nearly 400 grocery chains or supermarkets opened last year, bringing the total number of U.S. establishments to roughly 65,700. “Even as e-commerce grows, the store still remains really, really pivotal to both shopping and distribution,” said Melina Cordero, global head of retail research at CBRE. And discount grocers are certainly part of that expansion, she says. The growth in the discount space is not surprising in the U.S., given the barbell effect across virtually every retail category, Cordero notes: Consumers are abandoning the middle in favor of either the high-end luxury side or else the discount retailer. Among the dominant names in the discount sector are Walmart and Aldi. Joining them are local and regional chains and low-price brands such as Food 4 Less. “For a long time, the sector was very dominated by Walmart — they were the true low-price leader,” said Mike Siska, a consumer-and-retail specialist with Chicago-based William Blair & Co. "But what you’ve seen is other retailers try to grab that segment of the consumer." Germany-based Aldi has aggressively added stores over the past five years. The openings the company announced last year alone would bring its store count to nearly 1,800. The majority of Aldi stores are in the Midwest and the Northeast, but the company has lately been pushing into Southern California. Moreover, the company announced in 2017 that it would invest about $1.6 billion to remodel and expand about 1,300 U.S. stores by 2020. Meanwhile, newcomer Lidl has been raising its profile, having entered the U.S. in 2017. “Lidl came in and got the ball rolling, and then they pulled back a little bit as they got their hands around the U.S. grocery market,” said John Chang, director of research services at Marcus & Millichap. The company remains committed to expansion, with about 60 stores operating across nine states along the East Coast. Discount supermarkets face stiff competition from an assortment of players that include discount clubs and mass merchants, such as Costco and Target, as well as dollar stores — all these competitors are in there trying to woo customers with low prices. “Dollar stores are a much more meaningful slice of the food-retail pie today,” said Siska. They have moved from offering cereal, soup and similar pantry items to such staples as bread and milk, and now an even bigger inventory of fresh and frozen items as well. Dollar stores realized that they could get more velocity and have shoppers visit two or three times per week if they could replace that weekly stop the customer was making for other shopping trips, observes Siska. Dollar General, for one, added fresh produce to about 450 stores last year, and the company reportedly is planning to add fresh produce to about 200 stores it is remodeling this year. Another one to watch is Amazon.com as it moves to expand beyond Whole Foods into the discount grocery segment. The Wall Street Journal reported in February that Amazon has plans to launch a grocery brand offering greater product variety and lower costs than its Whole Foods units. Although Amazon has yet to release a name for this new concept, it could be on track to open the first of them by the end of this year. Discount grocers face the added pressure of figuring out how to cost-effectively offer online grocery sales. “E-commerce is difficult for every category, but it is especially difficult for grocers, who operate on really low profit margins,” said Cordero. E-commerce adds to operating costs in terms of technology, not to mention delivery services or the store changes necessary to accommodate in-store or curbside pickup services. But such online-related delivery is not necessarily bringing any additional revenue to compensate for those costs, because consumers may not be willing to pay extra for those services, she says. 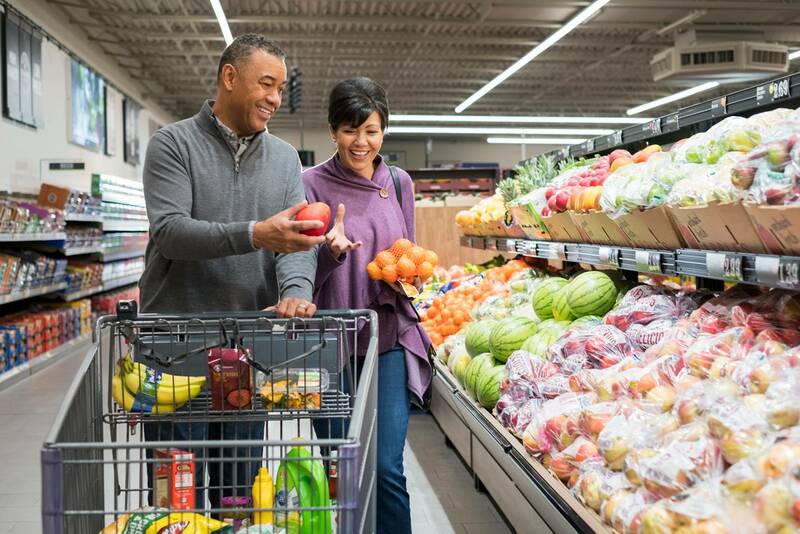 Grocers also have to reckon with changes in consumer behavior and with the challenges of enticing younger consumers as purchasing power continues to shift toward Millennials. “That consumer thinks a lot different than baby boomers,” Siska said. "They don’t go to the grocery store every week and fill up their cart." Technology and the busy lives people tend to lead now are behind the changing ways that people shop, and consumers expect to make smaller, more-frequent trips to the grocery store along with their online ordering and their food deliveries, he says. Discount grocers have stepped in to absorb some of the vacant grocers and big-box stores on the market. 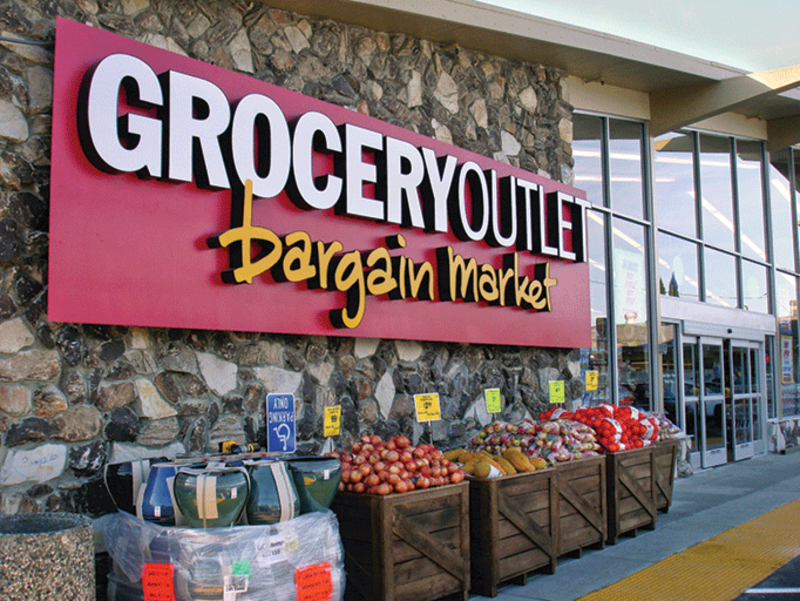 Grocery Outlet is one regional chain that prefers second-generation space. In California the company has opened in spaces vacated by Fresh & Easy, Smart & Final and Tops Friendly Markets. Aldi, too, is willing to take second-generation space. Aldi opened a store last year in a vacated Kmart in Corona, Calif., that was also divided up to accommodate a fitness center and an entertainment site. Discount grocers seem to be learning from the mistakes of failed chains. One of the reasons Fresh & Easy failed is that it came in with the same model for every location, says Matthew M. Hammond, a senior vice president and partner at Coreland Cos., a commercial real estate firm in Tustin, Calif. “They did it one way for everybody, and, ultimately, they ended up losing out, because they didn’t understand their customer,” he said. Such chains as Aldi, Grocery Outlet and 99 Cents Only are doing a better job of customizing their inventory to the various demographics, notes Hammond. Grocery Outlet recently opened a store in downtown Los Angeles. Its purchasing power comes from buying surplus goods and overstocks, Hammond observes. 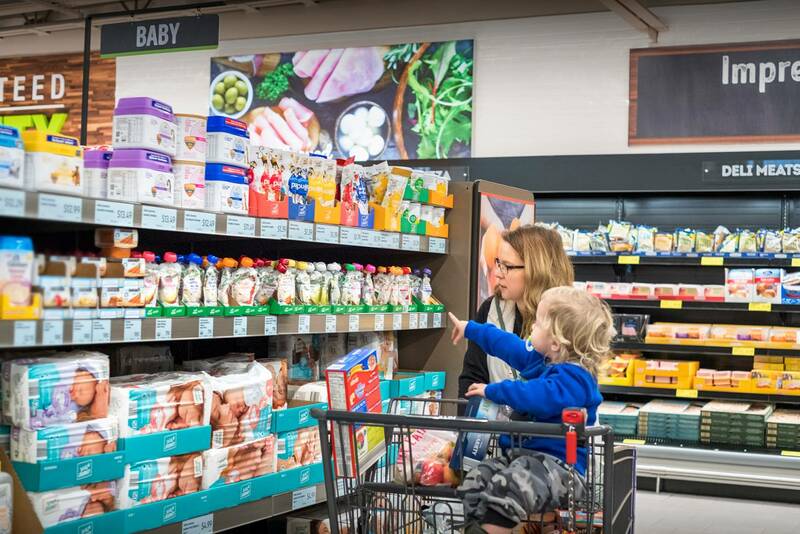 The inventory is always changing, but the chain makes a concentrated effort to include organic products that will appeal to the area's Millennials, he says. “Even in the discount world, these guys are adapting and specializing, which is making them successful,” said Hammond. What this means for discount supermarkets is that stores will continue to play an important role, as grocers are pressed increasingly to interact with the customer and to deliver the desired convenience both in-store and online.